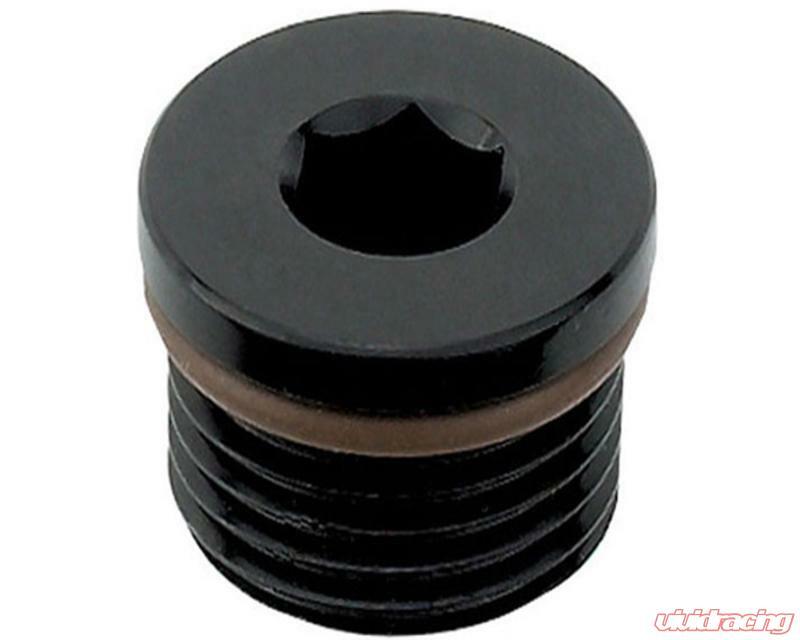 These unique CNC billet aluminum plugs are round and use an internal hex for a compact and cosmetic appearance. Radium 14-0149 uses 9/16 Inch-18 male port threads which are the same found on -6AN fittings. They do not feature the 37 degree conical flare. Instead, a FKM O-ring is used for sealing. The surface is Type-II anodized with a R5 bright dipped black finish. These lightweight plugs can be used with many Radium products including: fuel rails, fuel surge tanks, fuel pressure regulators, coolant swirl tank, 4 port manifold, etc. Radium 14-0150 uses 3/4 Inch-16 male port threads which are the same found on -8AN fittings. They do not feature the 37 degree conical flare. Instead, a FKM O-ring is used for sealing. fuel pressure regulators, coolant swirl tank, 4 port manifold, etc.